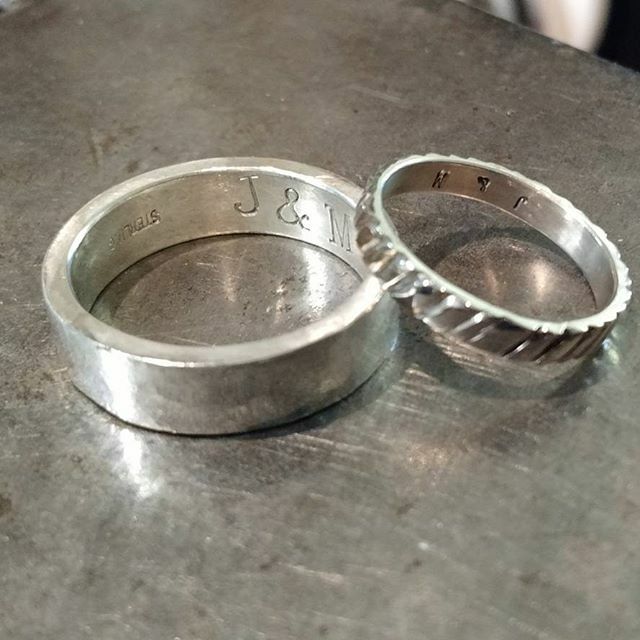 Make your wedding even more special by making each others rings. 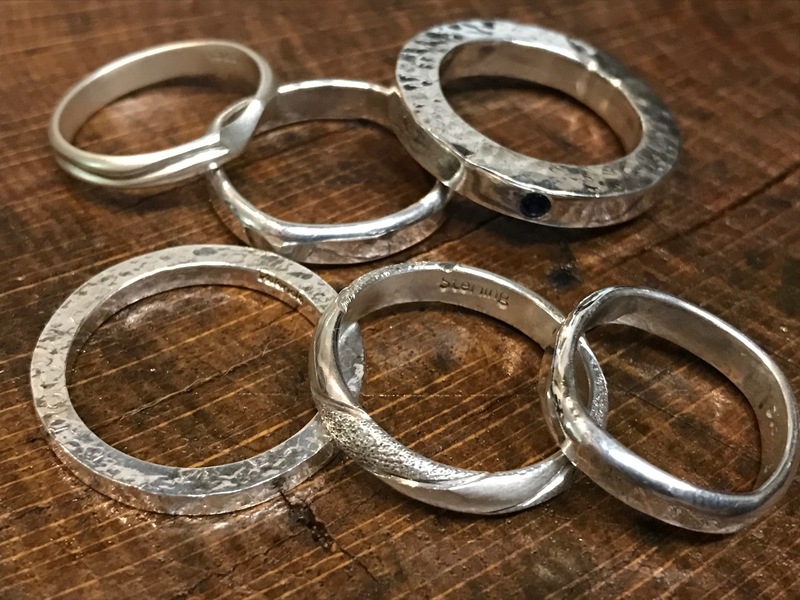 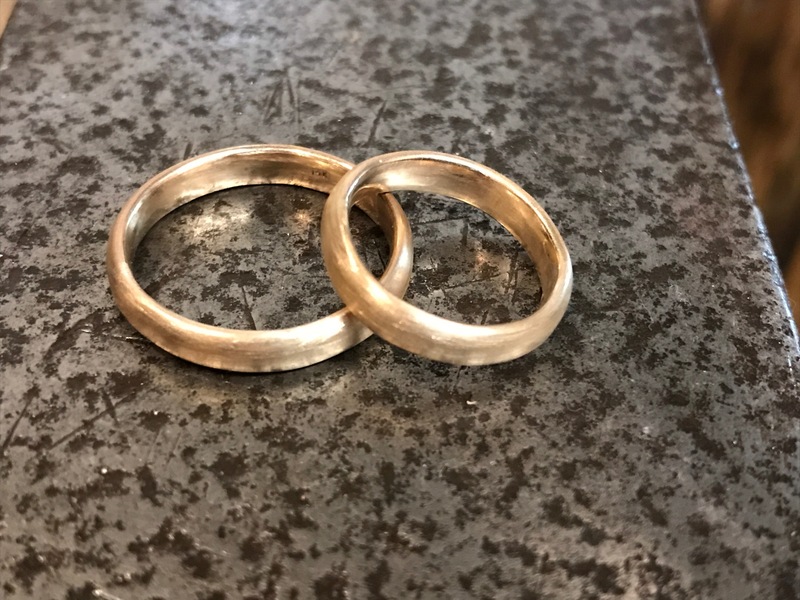 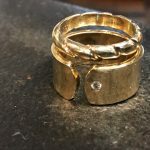 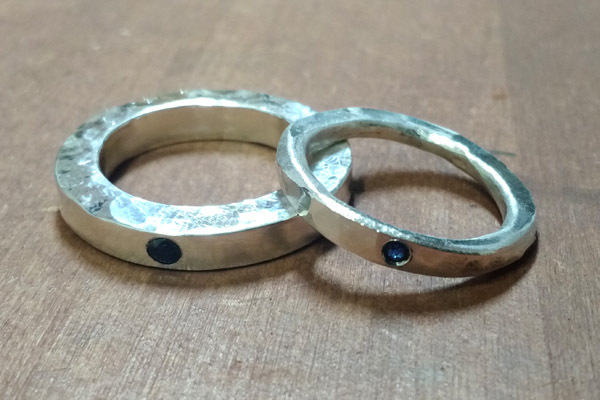 Goldsmith Daniel Valencia works with dozens of couples each year, helping them realize their dream of creating their custom wedding bands and partner rings themselves, resulting in durable works of art full of meaning and beauty for them, by them. 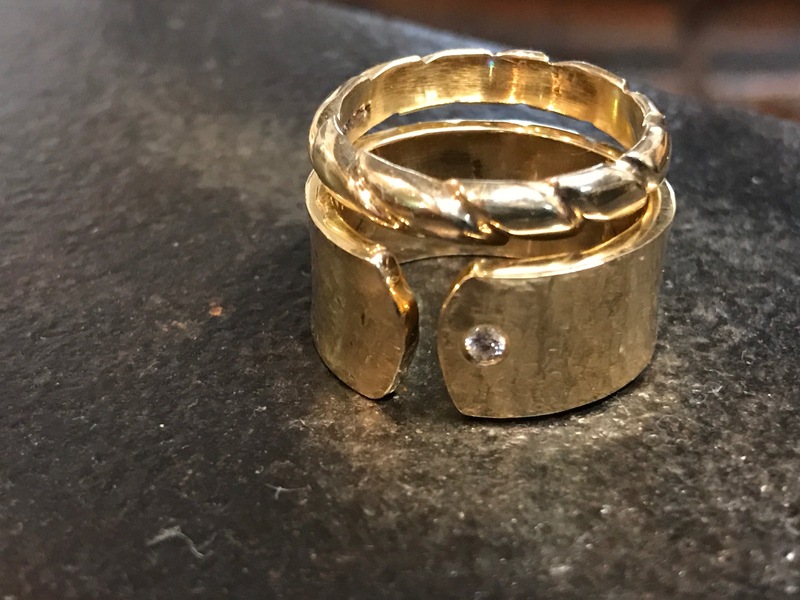 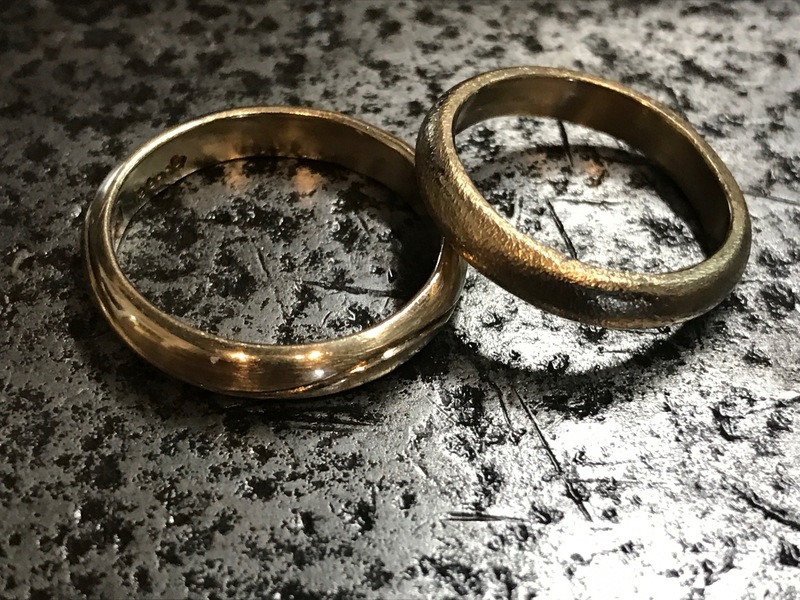 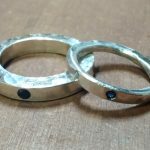 Starting with a free consultation couples can view multiple samples of wedding rings fabricated in Sterling and Gold, pore over the different textures and carved designs in order to more fully understand the options possible for their rings. 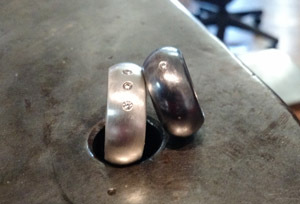 Sterling Silver is provided as part of the workshop fee. 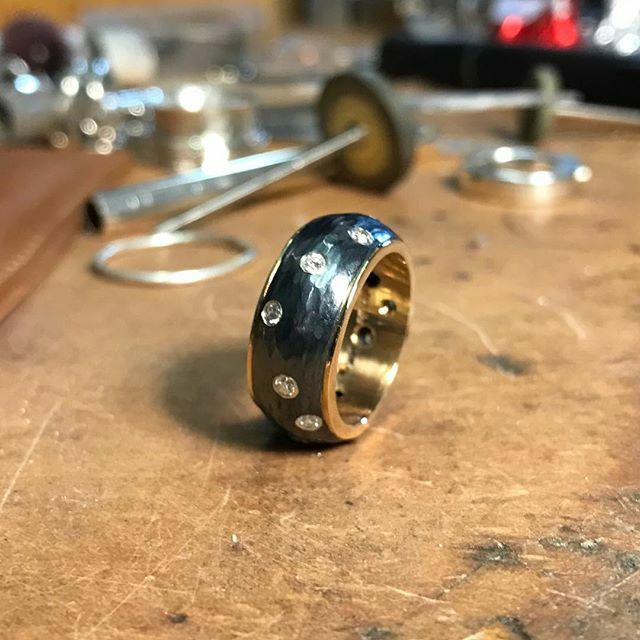 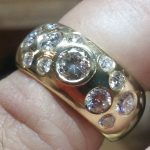 If you prefer Gold, Platinum, or Palladium this can be purchased, at cost, during your consultation if you choose to move forward with your workshop. 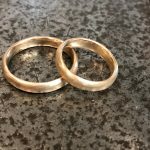 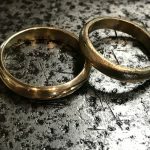 Because your precious metals are bought at cost couples generally save an appreciable amount of money than buying mass produced rings elsewhere. After finalizing their design and material choices your personal workshop can be scheduled at a time convenient for you. All wedding band and partner rings can be engraved, at no additional cost. 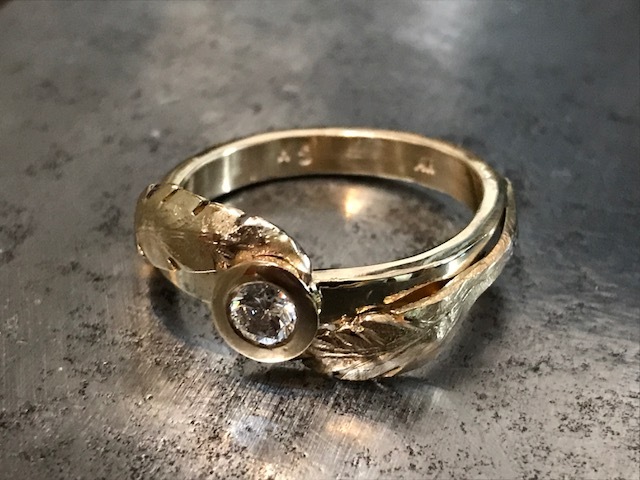 With the addition of a 3 axis CNC engraving machine your custom engraving can be placed inside your ring at the time of your workshop. 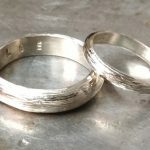 All engraving artwork should be submitted one week prior to your workshop date. 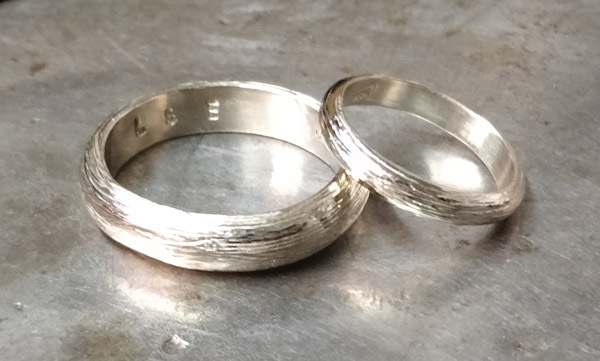 Rings must be a minimum of 2 mm in width. 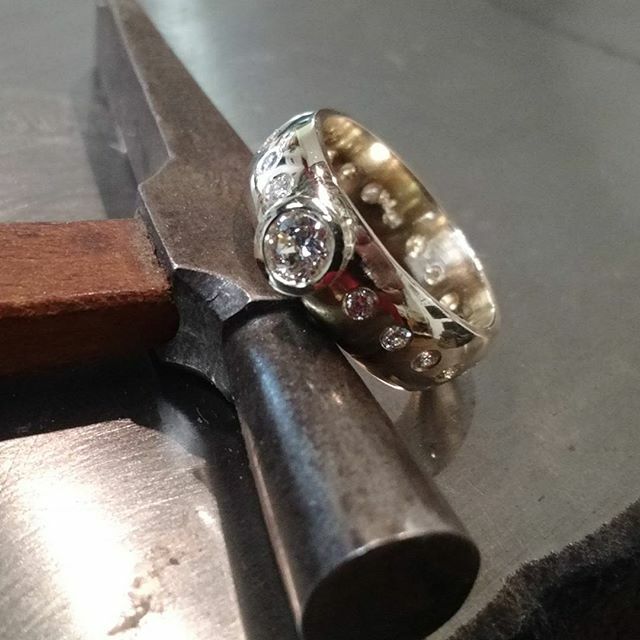 If your designs incorporate diamonds or other precious gems this can be accomodated readily, there would be additional costs for the purchase of the stones, again, at cost, and a fee for the professional setting of your diamonds. 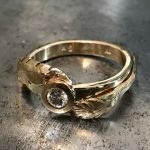 Custom engagement rings are a specialty as well, working with our favorite diamond broker in NYC or your stone a lovely ring can be made to order to match your band. 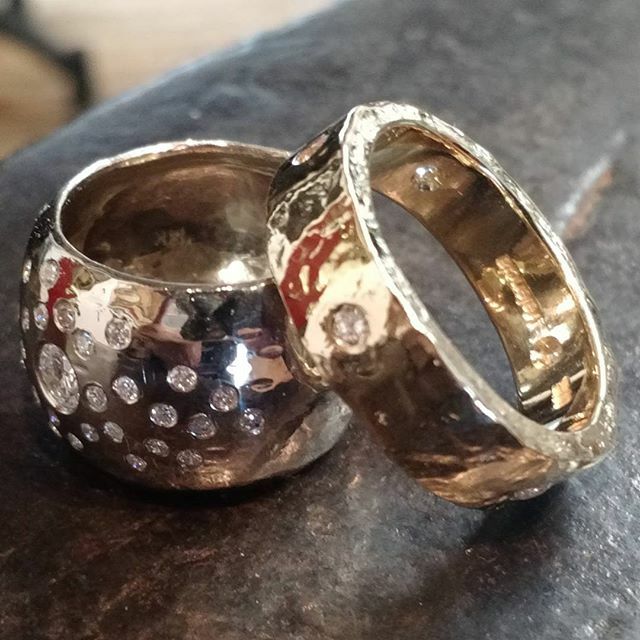 Participants make their rings seated at professionally equipped Goldsmithing benches in our beautiful studio spaces. 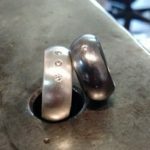 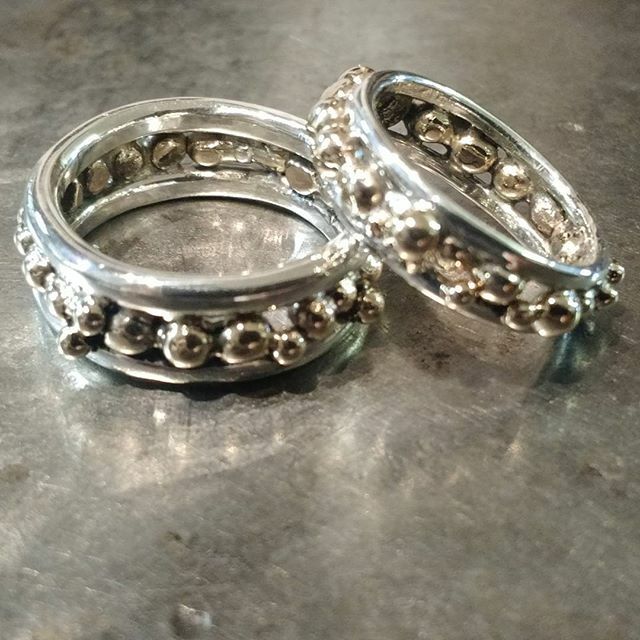 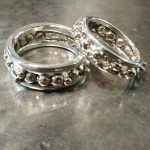 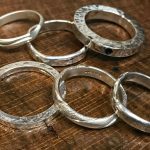 You will learn how to form, forge, solder, texture, and polish your rings like a pro and you will wear them with pride for your lifetime.